Rare early work from the great Marcos Valle – and one of his first-ever albums! The record's very much in a moody bossa mode, and the orchestrations are wonderful – light, but never sleepy – really done with that unique new bent that Brazilian artists were using at the time, best heard in the work of Antonio Carlos Jobim. There's a nice sense of darkness here that doesn't show up on some of Valle's later albums – a really moody sensibility that works beautifully with the fragile nature of the tunes. 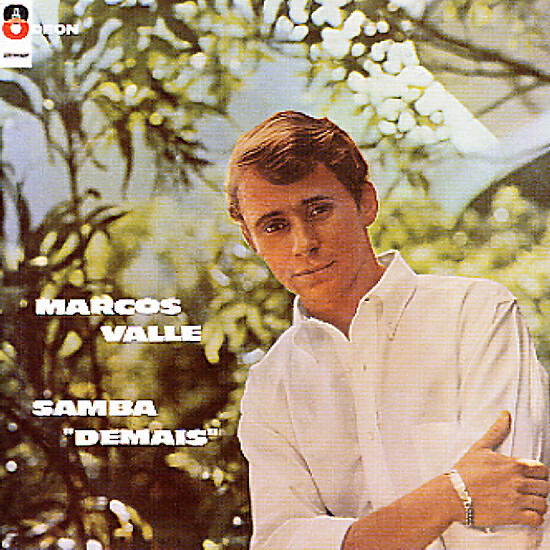 A few cuts are originals by Valle, and others are familiar bossa tracks – with titles that include "Vivo Sonhando", "Moca Flor", "Sonho De Maria", "E Vem O Sol", "Tudo De Voce", and "A Morte De Um Deus De Sal". Features the bonus track "Vamos Pranchar". © 1996-2019, Dusty Groove, Inc.